Mike exploded onto the South Jersey scene when he was only 15 years old. Pitching for the Camden Mauraders in the Babe Ruth League, Mike pitched a perfect game striking out 20 of 21 batters. The only batter not to strike out bunted a ball back to Mike and was thrown out easily. Mike would go on to play three years of varsity baseball at Woodrow Wilson and three years of summer baseball for the Brooklawn Legion Team. In his sophomore year at Wilson mike was named 1st team all-conference, 1st team all-group IV and honorable mention all-state. His junior year Mike would lead his team to the Conference championship, South Jersey Group IV sectional title and Group IV state Championship. Mike led South Jersey in pitching wins with 12 that year. He also led South Jersey in rbi’s with 30. Mike for his part in leading the team would be named 1st team all-conference, 1st team all-group 4, 1st team all- South Jersey and 1st team all-state as a pitcher. His senior year would prove to be even more stellar. He would once again lead his team to a conference championship, while repeating as the South Jersey group IV champs. They then would win their second consecutive group IV state title. Mike would be named 1st team all-conference and 1st team all-group 4 for the third year in a row. He would be named all-state for the second year. However in his senior year Mike was named all-state at first base and pitcher. Thus becoming the only player ever named at two positions. His career stats for high school were amazing. Mike’s batting average for three years was .327 while hitting 15 home runs. His pitching record was 27 wins with 5 losses for the same period. 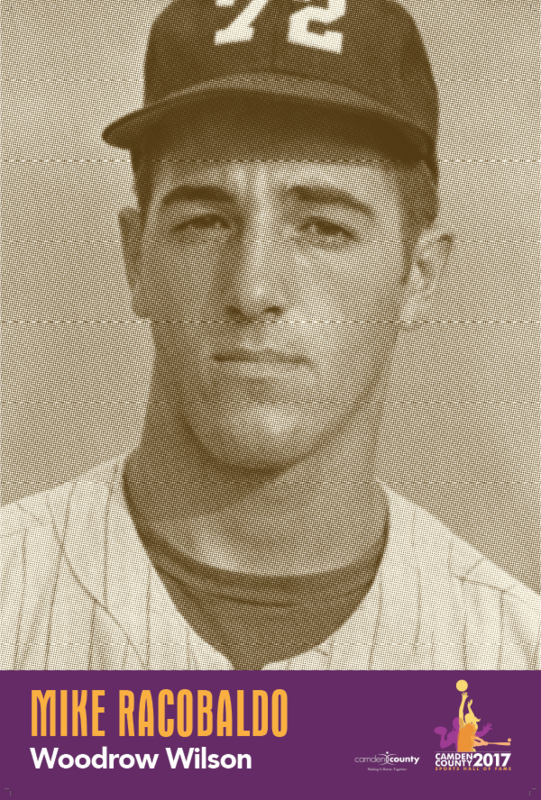 He was drafted in 1970 by the Cincinnati Reds but opted to go to college instead of going to their farm team. Mike also excelled in basketball for Woodrow Wilson and played a big part in their team’s success during his 3 varsity years at Wilson. In his senior year his team went undefeated with a 27 – 0 record and won the conference and group IV championships. He concluded his basketball career at Wilson by winning the group IV state Championship. Mike was named all-conference and 2nd team all-group IV for his efforts. He was also given a full scholarship to the University of Houston for basketball. Upon returning home from college Mike went back to playing baseball. He played in both, the Tri- County, the Camden County and the Hot Stover’s leagues, playing for Wayne’s Sporting Goods, Home Shell and Cherry Hill. He continued to play baseball into his forties. At the age of forty he was invited to play for the Phillies over forty “Dream Team” which he describes as one of the highlights of his career because he got to travel and play teams from all over the country. Mike for his athleletic success in baseball was been inducted into the “Hot Stovers” hall of fame. Mike still lives in South Jersey residing in Blenheim, NJ. He is proudest of his 5 children and 9 grandchildren.